Ah yes, the advocate. I have let it fall a bit by the wayside recently but the new year seems a good time to get it going again and on Cadbury’s of course because we can now start to get a feel for whether the work was strategic folly or enormously well endowed in the selling department. You’ll remember that the idea of the advocate was to identify work that we think is important from a strategic or creative perspective and then to look at whether it is working. This contrasts with the standard practice of effectiveness awards which gather a collection of random campaigns that agencies can prove worked and hope there is something of merit in there to learn from. And of course the burning question last year was whether Cadbury’s Gorilla was getting the tills ringing or and amusing waste of cash. Right form the beginning I believed that Gorilla was doing the business with nothing more than a planners nose for effective work to go on. Indeed I spent a lot of time trying to convince people that this was the finest tactical ad on earth. Maybe some of you were out there doing research and knew one way or the other but I was loafing around between jobs so had to rely on instinct alone. And the news is it seems to have done the business. Now, some of you may consider that isn’t news at all. Indeed Cadbury Schweppes reported the first sales success of Dairy Milk in a statement in early December. However, it completely passed me by in the pre-Christmas frenzy. So this post is for you if you are reading it outside the UK or if, like me, you have a very poor relationship with the zeitgeist. We will have to wait until the Cadbury’s annual results in February to get a fuller picture but we can start to say with some certainty now that Gorilla has been a real sales success. Actually Cadbury’s had a stonking year in the UK, partly because of the relaunch of Wispa and partly because of the success of their Trident chewing gum brand. Nevertheless the 9% growth in sales of Cadbury’s Dairy Milk since the campaign launch must have done a lot of the heavy lifting for the company’s confectionary business and is all the more impressive given the brand’s recent past which has been somewhat difficult to say the least. Of course purists like us would like to know what this 9% actually means – up 9% on the same period the previous year? up 9% on sales in previous month? etc. – but maybe we can worry that out on the comments. Whatever the detail it is clear that the client certainly attributes the sales success to the Gorilla campaign and has consequently raised city expectations of its revenue growth ahead of the final results in February. So stuff that in your pipe Gorilla cynics. Here’s Word Up by Cameo – Gorilla Style. I saw the 9% figure too but, as you say, we really don’t know what period refers to and as I had blogged earlier there were a number of other factors that could conceivably knock holes in it since 2006 was such a bad year for them. I don’t think anyone can deny it worked, at the very least in terms of reinvigorating our friendship with a brand that had started to lose our trust. How much of that 9% (and how big that 9% really is) was affected by it will be the distinguisher between good ad and great ad for me. Whatever the sale increase maybe,(it does seem marked even without knowing to what the 9% increase should be attributed)I feel that the real value is in the restoration of trust and repositioning the brand in our minds after its long association with the Coronation Street sponsorship. Good point, it certainly masculinised (is that a word?) the brand after years of Corrie femininity. Got people talking in a way that no other ad has done for a long long time – we as an industry may have got excited about Rabbits and Paint, but I never heard anyone on the bus home talking about it. Gorilla on the other hand struck a chord with people. I evesdropped on so many conversations from young hoodies to OAPs all chatting about Gorilla. It’s a lol sketch, a slice of comedy genius, it’s 60″ of hope for every creative in town with “that idea” in the bottom draw ready for a brand to sponsor. So good on Cadbury’s they very successfully sponsored a great gag, but, strategically is there really a lasting differentiating idea to build on? From the outside looking in to your industry it feels very much like adland getting terribly excited about a traditonal ad when I thought agencies were in the business of long term brand/business building. A drumming gorilla is no “4th emergency service” but I guess it’s superficially a lot shinier. Is it not a ‘male’ flake moment? Personal time used in an indulging way? idea in the last 12 months. Which in some ways is rather disappointing. I think “personal time used in an indulging way” could be relevant for a number of products or to describe things we do. what a load of old cobblers these last few comments are. What on earth is the matter? Jealousy? Lack of imagination? Joy (a glass and a half in every bar) is a pretty big idea. Gorilla was a gloriously emotional and infectious piece of communication which was 100 times more media-neutral/viral/wom than just about anything else that went out last year. It’s only rival was Boots’ here come the girls. Stop being so analytical, you give planning a bad name. Media neutral? What? Just because we can post TV ads on YouTube? Jealous not in the slightest I think its great and was at pains in the previous posts to make that clear. I just find it ironic that the plannersphere has spent the last 12 months waxing that creative strategies should drive all aspects of the brand communications, that big ideas are too big for advertising, to look beyond the advertising proposition etc etc and when push comes to shove it is a great TV ad. And, it worked better than anything else. What other communication ideas were there around this ad or “joy”? And please don’t say it was a DVD giveaway of the ad. “Joy” is an idea? It’s a generic of the chocolate category. It’s like Coke saying they own “refreshment” – thats cobblers. I think it has been proven in the advocate before that its impossible to agree on the stats so instead you have to go with instinct which tell me that this was a great piece of communication. It does capture the imagination and so its a planners job to answer how and why. This may or may not have any thing to do with it but I actually think there is potentially a huge idea behind it (whether or not it was actually planned in that way or intented.) Don’t they say that a brand is the promise of an experience or something like that. If thats true the Cadburys experience should always be a sublime little pleasure, whether they are making a short film, music, a chocolate factory, a range of toys, or a chocolate bar. A gorilla playing Phil Colins on the drums is not a bad start because lets face it it doesn’t get much better than that, but I’d like to see the same brief applied to any other thing that they might be thinking about doing; advertising or otherwise. As regards to the big idea, that will be much easier to see when we find out what they do next. If there is a big strategic idea, about delivering a joyful, perhaps slightly irreverant experience, they’ve certainly set themselves a challenge to follow-up with something that comes even close. – Especially without seeming horribly contrived. Can planning aid conception? Course it can: by identifying the barriers and showing a way through. And if planning is not doing that, we’re just wanking. Is it not the case though that with Gorilla the execution was the cultural currency; and that the idea has been pretty much missed/ignored by anyone outside adland (and the follow ups will see how well the idea gets impregnated on people) ? Sure, they rolled a six, but can someone tell me what planning had to do with it? Lets make a comparison with an ad lauded on this blog – Blackcurrant Tango. Similarly infectious, emotional, lol piece of communication – pre broadband, pre youtube, hit the cultural currency nerve, got talked about made a celeb out of the Ray Gardner etc etc. No idea about sales but I do remember it did taste like c-vit out of a soda stream so suspect it did not perform that well as a product. Now, to me, the difference is that this ad was a pure expression of Tango that only the brand could have created, you can see the strategy screaming out of it and how that directed the creative. And you can see it over and over again with that brand. But with Gorilla we have a what everyone seems to agree was the most successful idea to come out of an agency last year, a TV ad, – 10 years after BCT in a year when everyone talked endlessly about the old model being broken it made you want to puke – without any recognisable input from planning or from the flourishing communications strategy arena. And sales went up. I mean if its that great it almost makes you wonder whether you need planning. It’s because I believe in the value of strategy that I reserve the right to be sceptical about Gorilla, of course which businessperson in the right mind wouldn’t take a 9% sales hike, but we are in the business of building something more lasting than a spike in awareness and sales. I think we should be allowed to differentiate between the two and critique work freely without resorting to petty retorts like “lack of imagination”. I notice in the marketing press today that Cadbury’s are ramping up marketing spend. Rather suggests that they think it is working and it doesn’t half help the rest of us promote good work and the value of what we do for businesses. RN has stated a case very similar to my opinion of the ad. I don’t think it takes the brains of a rocking horse to make a great idea that everyone’ll talk about. I can think of ten things cadburys could do right now on and off tv that would get people talking about them and might sell more chocolate tomorrow, but the questions (as RN rightly states) of how long that will last and was it an expression of the brand. For me, the last question might be answered if this is to BE Cadbury’s brand. If it is, then I guess I take my hat off…a little…but dissect the ad alongside Tango. 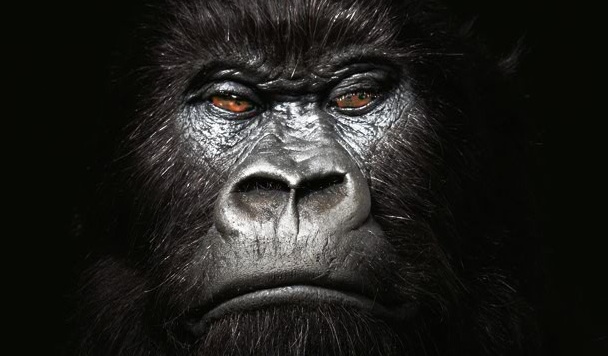 Gorilla sets out Cadbury’s (in my view) as a surrealist, current but throwaway brand. Everyone asked “what will be the next gorilla?” – the point is, it could be anything, it could be Robert Mugabe playing the sitar, it might have nothing to do with music at all. We just don’t know. Tango advertising voiced a sustainable and unique viewpoint which I believe would’ve been key in creating longer term sales increases. Gorilla, for me, felt like a cheap thrill, but a cheap thrill that may have done our business some good. The classic Tango work not only worked to a very tight and in some ways traditional strategy (‘Its the hit of real oranges in Orange Tango that gives it its bite and buzz’) but delivered extraordinary sales growth for the business virtually killing off Sunkist, forcing Coke to relaunch Fanta in the UK in an attempt to regain control of the Non-Cola market and sustained a price premium over the competition of 12% for much of the ’90s. You’re right it was then. So, let me posit another thought, the success of the Gorilla phenomenon is actually a nail in traditional agencies collective coffins. It successfully relegates advertising to a short term tactic, or perhaps that should be reinforces what everyone kind of suspected all along. This means that ad agencies will not and should not be responsible for brand strategy, that the role of planning in agencies will become increasingly marginalised from the bigger picture and consequently a new form of agency will emerge where the brand and comms strategy will combine to be the new creative team, a permanent creative team, inspiring each other like a copywriter and art director yet independent of execution. And by this I do not mean the illusion generated by all agencies of having the these skills under the same roof I mean actually working together as a team from start to finish. Then we might see a big brand idea executed across all channels on a more regular basis. I think part of the reason there is not so much great work out there is the entrenched structure, turf battles and rote processes that every single agency is locked into – including the new ones – they still start with “the ad” and work out from there, as anyone who’s actually spent some time working in them will know, regardless of their trade PR. The ad was great. As others above have said, there has been scant evidence of any further expansion on the notion of ‘joy’. So we have been left with a rather excellent 30/60 seconds’ worth of primate fun, but not much else beyond. So I challenge anyone to say that a particular strategy has paid off (yet). Rather, someone made a greatly entertaining film that didn’t make me or anyone else I know change their chocolate buying habits. Tango’s ‘Hit of Orange’ strategy began with a product truth – the extra ‘hit’ provided by the inclusion of peel in the juice. Not only did this provide a meaty creative brief (for all communication mediums), it’s ingrained truth gave communications a truly unique and meaningful connection to the product (right through the line). This ‘traditional’ approach to strategic planning provided the foundations for some of the most creative and salient ads ever made. Like others in this conversation, I like the gorilla ad as a bit of film but one has to post-rationalise pretty hard to find a natural fit with Dairy Milk. Joy? Self-indulgence? Is that a unique and ownable proposition for a chocolate countline product? You have to wonder how this ad fits into a long term brand strategy across the full spectrum of brand communication disciplines. That might sound dour but planning ain’t the final creative product. On top of all this is the danger of a Phil Collins revival. The main reason the ad worked is because there is an animal in it. As BMP/DDB proves, the main function of the planning department is to sell clients executions featuring loveable animals using the nimble arts of post-rationalisation. There is no reason, incidentally, why an ad need contain an idea in order to work. Ideas are very valuable things, and I adore them wherever they are found, but it is simply not necessary for every single ad you run to contain one idea apiece. Maybe the campaign has an overall idea behind it? Maybe your ad contains three ideas? Why ration them so strictly? Nor is it necessary for an ad to convey a product benefit in order to work. Almost all Japanese advertising (on which they spend insane sums as a proportion of GDP) contains no useful information whatsoever. Most much-loved advertising has only a gossamer thread linking it to the product. Tango, I think, varied in this – the orangey executions being more USP obsessed than the Blackcurranty ones. You’re dead right about the animal. What are we here for then? Dear oh dear, what has planning come to. Off the top of my head the classic BA campaigns, most Nike work, Apple ‘1984’ recently re-edited for Hilary so still current, VW ‘Lemon’ the iconic Silk Cut campaigns, Tango. Isn’t this what we should all be striving for? …or for a more relevant example look up Blendtec on youtube, their little experiments have been watched 75 million times. And its just a good old fashioned product demonstration. …”much loved” and their sales went up 500% last year…while everyone else gets excited about 9% on a bar of chocolate.